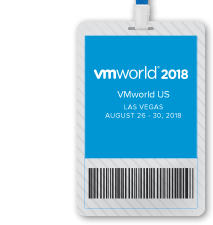 I know that only a small part of IT and VMware administrators can really get to VMworld every year, but when you look at the opportunities, VMworld is the event not to miss. Whether you’re living in US or Europe, you can choose the one closer to your place. 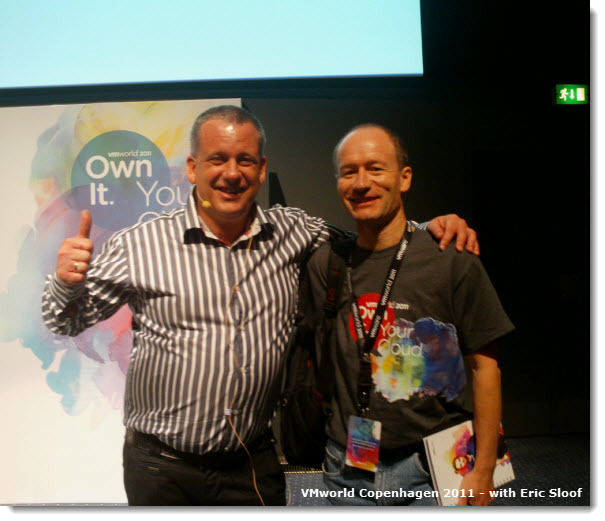 Why Your Presence at VMworld Will Help You in Your Career? VMworld offers amazing networking possibilities not only to find new (and old) friends but also ask questions which you would not find answers easily. It also brings a lot of emotions especially for those new folks learning virtualization or people who never went to VMworld. The first one is always memorable. 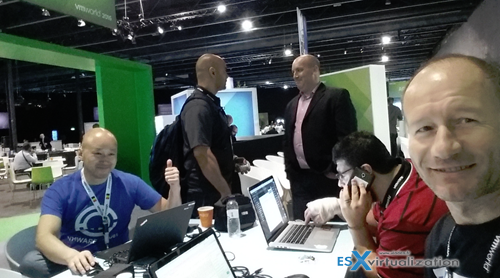 VMworld is a great place to meet people and ask questions. As since several years I’m continuously working and having a VCP study guide updated for the latest VMware certification, the VCP6.5-DCV, I usually have a number of folks coming up to me to thank me for this guide, or to say hey, your blog has helped me during my work. That’s super grateful and I’m really glad it helps !!!! Check the latest VCP6.5-DCV Study Guide (PDF). 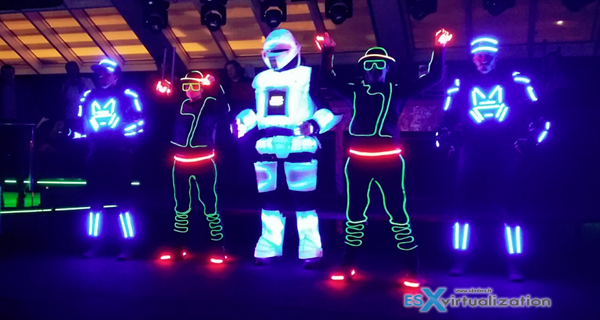 This post will try to highlight some ideas why it’s important to be present on VMworld for people carriers. This post will help out with some tips not only for the actual VMworld conference, how to get organized “once in the building”, but also some useful tips for your stay and transports. You’ll certainly find other bloggers covering the event with some tips particularly useful for US folks, but in this post, I’ll cover not only that part, but also other parts such as transportation, an organization of your time during the event, how to schedule your sessions, social media contacts, and others. 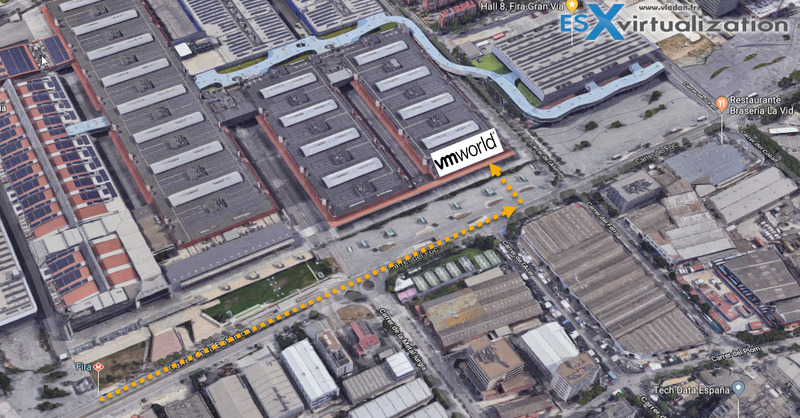 During VMworld – Where to Stay? If you’re on a budget and your company only partly participate, with an entry, so you have to find yourself cheap place to stay, you might want to read further as cheap places still exist. You don’t have to stay in a VMware recommended a $300/night hotel. There are other, cheaper, alternatives. Believe me. Usually, Airbnb offers a great value and you can delay the reservation until the last moment. Other sites than AirBnB exists too. Think of HomeAway or even free CouchSurfing, but there are plenty of others. Most of the time you’ll spend outside of where you staying anyway. Make sure that you have a separate entry and you can come back late as when a party finishes at 1 or 2 AM, you’re not stuck outside…. You might have few peers who are from the same region/town. Why not group together and rent a bigger apartment and stay together? Be the early bird and catch the discounted rates for #VMworld US by registering today! In Barcelona, we had a metro/bus tickets offered for 10 rides every year so far. (Note: you must ask for it after the registration, on a separate desk). It offers you 10 free rides in a metro or bus. If you are on the budget, it saves you few bucks. There is also a new metro station for 2 years now (I believe), so the walk to the building is really close. Previous years, however, VMware has had a shuttle service so it wasn’t so bad. However, the shuttle service wasn’t available last year as I remember. I think it was just because of the very close metro station. The metro station is called Fira and is pretty close to the VMworld main entry and registration. The first day there were usually free buses provided by VMware, from the Airport and also during the conference. There are tons of apps for Barcelona sightseeing, what to do or simply use Google maps to find where you are. The roaming charges for European people were dropped to a minimum so no longer you have to worry about high Internet data bill for your phone. For US folks it may be different but you might just need to download Google Maps Offline area for Barcelona and you’ll be fine. There will be a mobile App (or you can use the desktop to plan ahead too) which allows you to plan your sessions. Do it early and chose the ones you want but don’t overbook yourself otherwise you won’t have time to do anything else. I know it’s great to see the sessions live, having a possibility to ask questions or meet the presenters after the session, but if you want to meet your peers, other bloggers or other partners, you won’t have all the time of doing it. So pick your sessions carefully. Tips, Tips, and more tips…. I usually travel light. For a week in Barcelona, I only take a cabin luggage where I squeeze as little as possible. Also, vendors in the exchange often has some goodies, some “swag”. If you want to get some of these, don’t pack your small luggage too tight -:). If your company sends you to attend this event and your boss isn’t coming with you, then you’ll probably be fine with jeans, t-shirt, sneakers… otherwise, I have only one advice here… Get comfortable shoes. You’ll be walking around the building, a lot. So having a comfortable shoes is a must. If you don’t you’ll kill your feet the first day and the other two-three days you’ll suffer. I’m taking my Salomon trekking shoes to be comfortable. You can meet a cool people at parties and events. Below screenshot from a VMUG party a few years back. Part of the show was this lights and shadow show to entertain us. Fred at vBrain.info and Andreas at Running-System.com does usually post tips before the European VMworld. Also, they organize #vBreakfast, which is a breakfast before the Tuesday’s day at the building. You can have an interesting chat with a bunch of other vExperts, or other people from the industry, during a breakfast. I remember last year we had a rain storm just when getting out, for the general sessions. Fun. If you want to catch up with your favorite bloggers, come up to Bloggers Village to say hi. (Get in touch on Twitter to make sure we’re there)… Within the blogger’s area, usually, there are also folks from vBrownbag recording “TechTalk video” so you can have a look too. I have a VMworld Page for every year, and the page covers the US event as well as the Barcelona event, where I usually go, personally. VMworld is a great place for networking, getting to know about the latest technologies coming up, getting the VMware vision for next few years, and lastly, meet new friends! I’ve mentioned few tips today, but that’s just a fragment of all the possibilities. If you follow few other fellow virtualization bloggers, you should see other tips popping up during the days/weeks to come. I haven’t written about motivation yet. VMworld gives an enormous motivation for future progress in people’s career. It is an event which leaves nice memories and pushes you forward to achieve industry’s recognized certifications and as a result, you can pretend for a better job. Usually, there is a possibility to pass VCP or VCAP certifications during VMworld and at the same time get usually very good price discount (25% or more). A few years back when I worked towards my VCAP’s, I went and tempted to pass my VCAP during VMworld. I wasn’t successful but it’s an experience, which opened me more opportunities to pass that exam at a later date. I passed a VCAP5-DCD and VCAP5-DCA. Just a note. 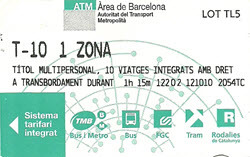 In Barcelona, the T10 card allows for 10 trips. You can use it on a metro and a bus and a tramway for each trip if they are separated for less than 1hr and 15′. So you can pick a metro and a bus with only one ride, for example. It’s an integrated system. Great. Thanks Marcos for those precisions. Greatly appreciated.